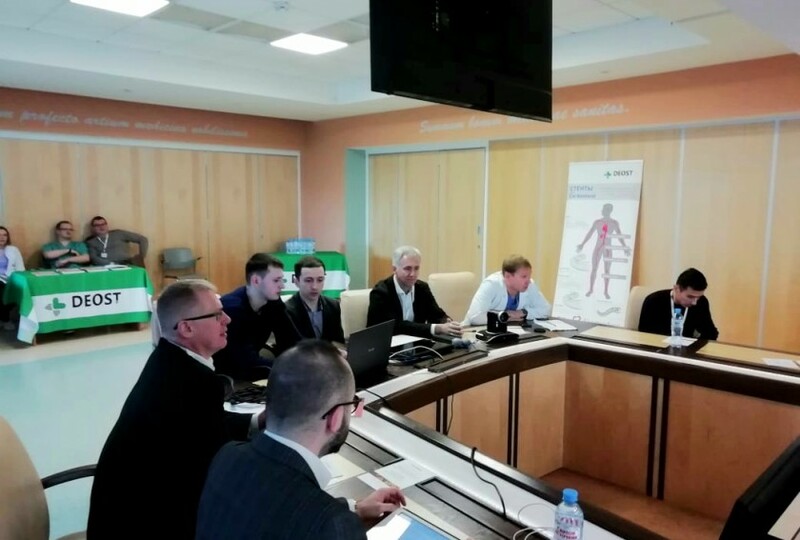 In April, Almazov Center hosted a major workshop with an international expert in vascular surgery. 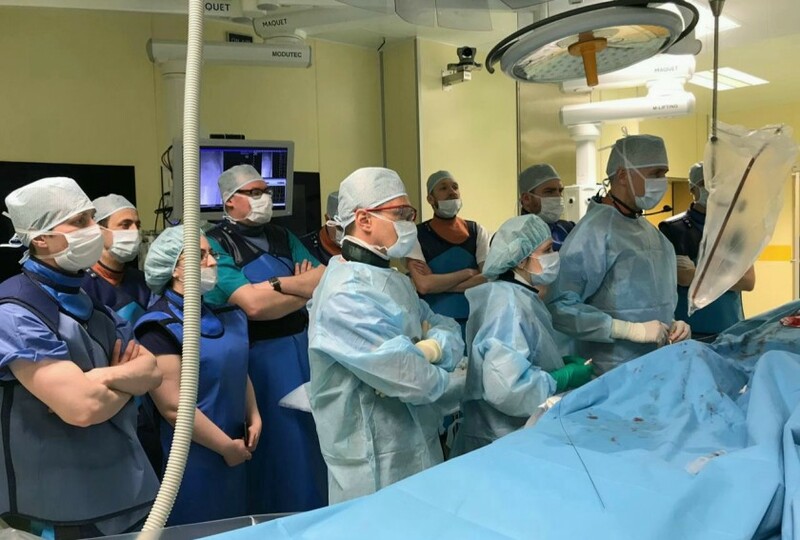 The workshop was organized by a team of vascular surgeons led by Dr. Mikhail Chernyavsky, Head of Vascular and Interventional Surgery Department. The course covered current technologies and advanced methods for treating patients with atherosclerotic lesions of arteries of the iliofemoral and femoral-popliteal segments. The workshop that took place on April 11 and 12 brought together more than 20 trainees from different cities of Russia: Moscow, Chelyabinsk, Barnaul, Yaroslavl, Kaluga, Voronezh, Tambov, Krasnodar, Grozny and many others. These doctors came to observe the work of the European master in endovascular surgery, Professor Ralf Langhoff, expert in peripheral interventions, Head of Angiology/Vascular Medicine Department at Sankt Gertrauden Hospital in Berlin. Together with Dr. Chernyavsky, they performed 4 successful surgeries for various types of occlusive lesions of lower-limb arteries. Each case was challenging and insightful in its own way. Vivid discussions, opinions on the tactical issues and interaction with surgeons during live broadcast from the operating room contributed to an effective exchange of experience. The expert highlighted that Almazov Centre has a unique experience in treating patients at different stages of chronic lower limb ischemia and shared his own experiences. It should be noted that already on his first visit to Almazov Centre in 2018, Professor Langhoff praised the high quality of state-of-the-art equipment and the expertise of specialists at the vascular surgery clinic. 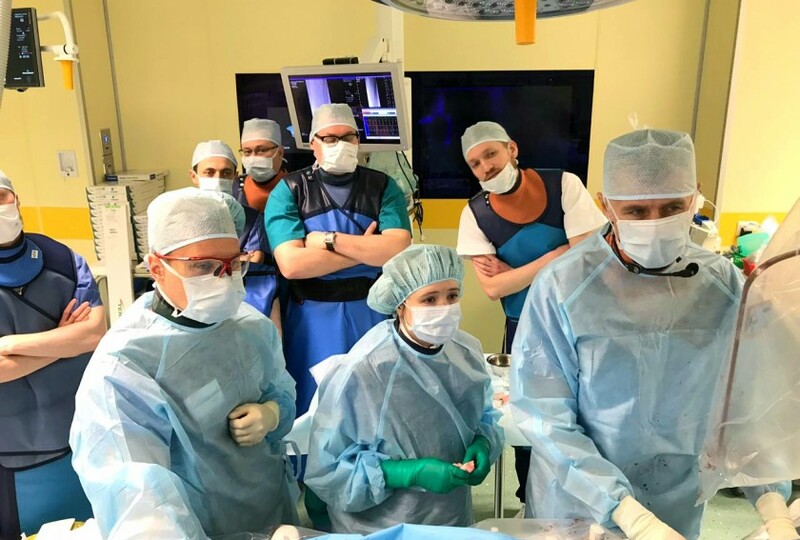 Such workshops are very important for vascular surgery in Russia because new knowledge and awareness of the latest technologies contribute to expanding a doctor's thinking and help save more patients.